If your toenails are discolored, thick, or sore, you may have a nail fungus infection. 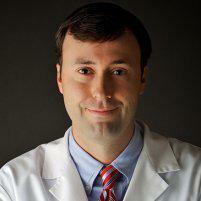 At Coastal Foot Center, Joe Griffin, DPM, CWSP, FAPWCA, has a solution that works. Whether you need a prescription medication or an innovative laser treatment, he can help you eradicate your fungal infection. If you live near Daphne, Alabama, in Baldwin county, stop hiding your ugly toenails and get rid of them for good. Call to schedule your appointment with board-certified podiatrist, Dr. Griffin, or book your consultation easily online today. Any number of common infections that thrive in dark, moist, and warm environments can cause nail fungus. They’re common among people who have a weakened immune system from chronic conditions like diabetes. What are the treatments for nail fungus? The type and severity of nail fungus often determines the treatment Dr. Griffin recommends. In many cases, topical or oral antifungal medications can effectively treat your condition. In some circumstances, both may be needed. If you don’t want to take oral medication or are looking for a quicker solution, Dr. Griffin can perform specialized laser treatments or permanent nail removal. Athlete’s foot is one of the most common fungal conditions. Instead of attacking your toenails, this fungal infection affects your foot’s skin. It’s often seen between the toes or on the soles of your feet and is known to cause burning and itching. Athlete’s foot is highly contagious and is often contracted by walking in a contaminated area, such as a locker room or community shower, in your bare feet. In most cases, Dr. Griffin recommends a prescription or over-the-counter topical antifungal treatment. Depending on the severity of your athlete’s foot, he may suggest oral medication as well. If you have athlete's foot together with a nail fungus infection, you will need both treatments. Can nail fungus be prevented? It’s also important to reduce exposure to possible toe fungus. Wearing shoes in public places can protect you from future infections, as can not sharing toenail clippers or scissors with others. In some cases, Dr. Griffin may suggest using an over-the-counter antifungal cream every night for a period of time, even if there are no signs of an infection. If you have signs of nail fungus, don’t wait. These infections strengthen and become harder to eliminate the longer they persist. Find a solution with Dr. Joe Griffin. Call Coastal Foot Center today to schedule your appointment or book it online now.